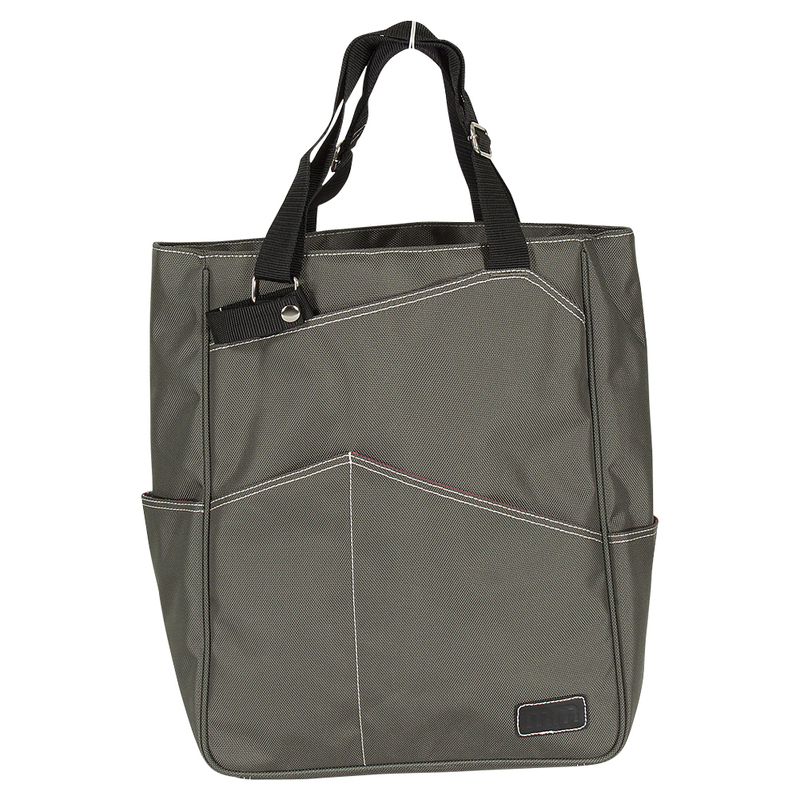 Keep it stylish and comfortable with the new Maggie Mather Tennis Tote. 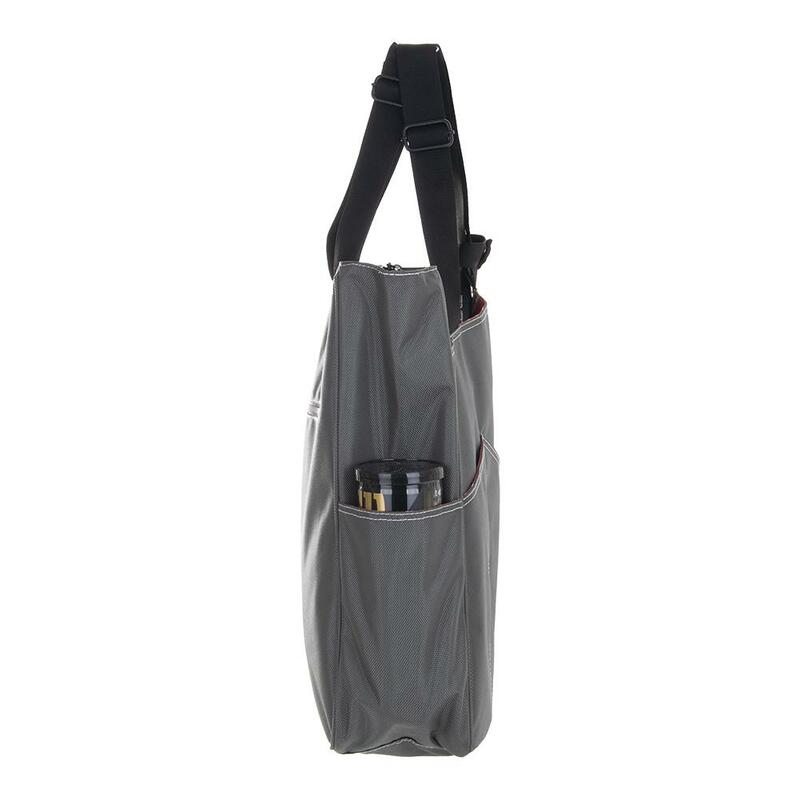 Take this bag anywhere you go, rather it be your next training session or to the tennis club! 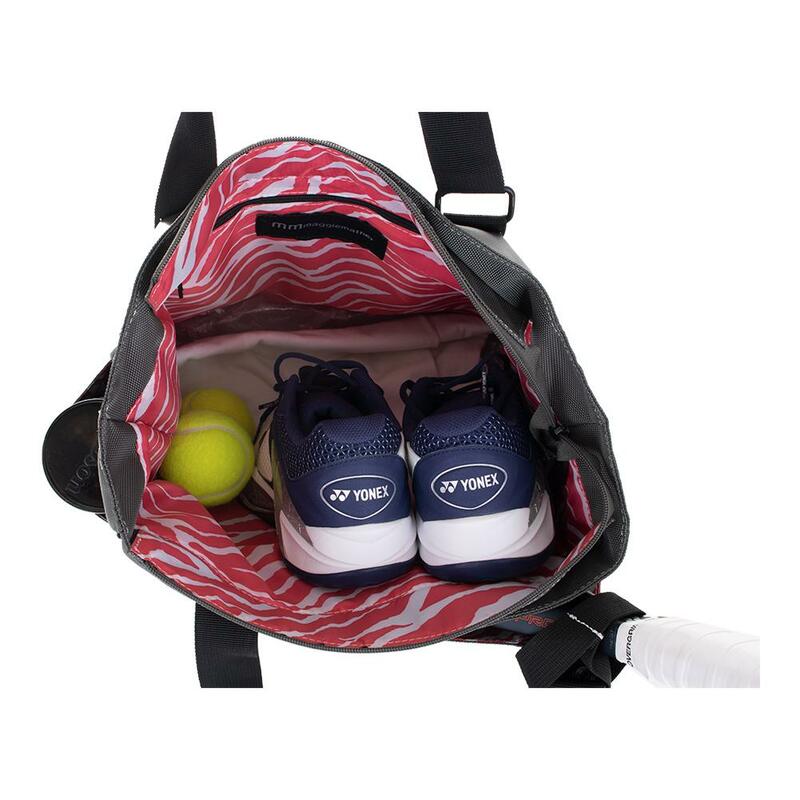 This bag has everything you need to rock the courts in style! 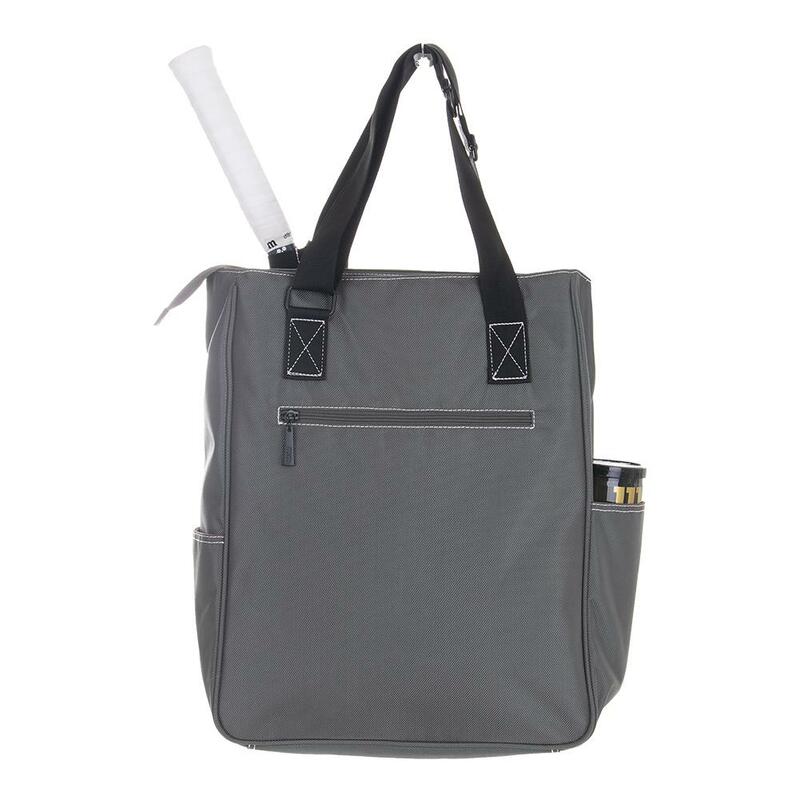 This tote features: adjustable shoulder straps, front racquet compartment that holds two racquets, two side pockets, two open front accessory pockets, rear zipper pockets and a larger main compartment with a small zippered pocket. 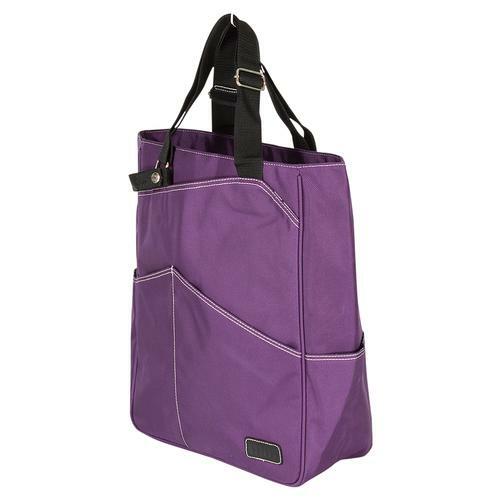 See which bags made it to our list of favorites in this blog post: This Week’s Top Tennis Bags For Women! 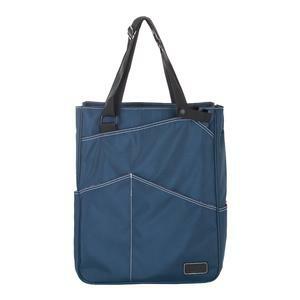 Size: H17" x W14" x D5"
I purchased the teal tote, and I love it! 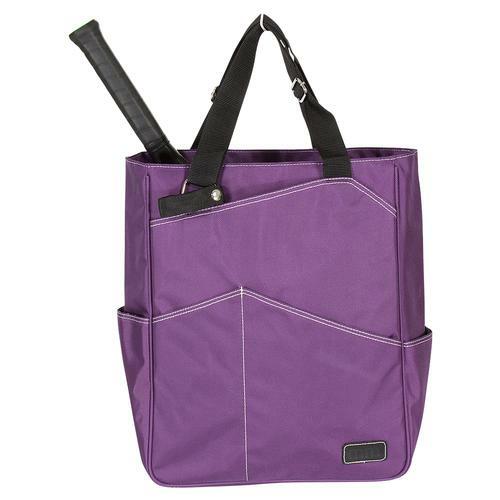 It has the perfect amount of storage, but isnt too big to carry around, or store in the car or closet. I get tons of compliments on it! I love this bag! It is the perfect size. Enough pockets for all my stuff, but not too heavy. And material is durable too. Several members of my tennis team now have it. 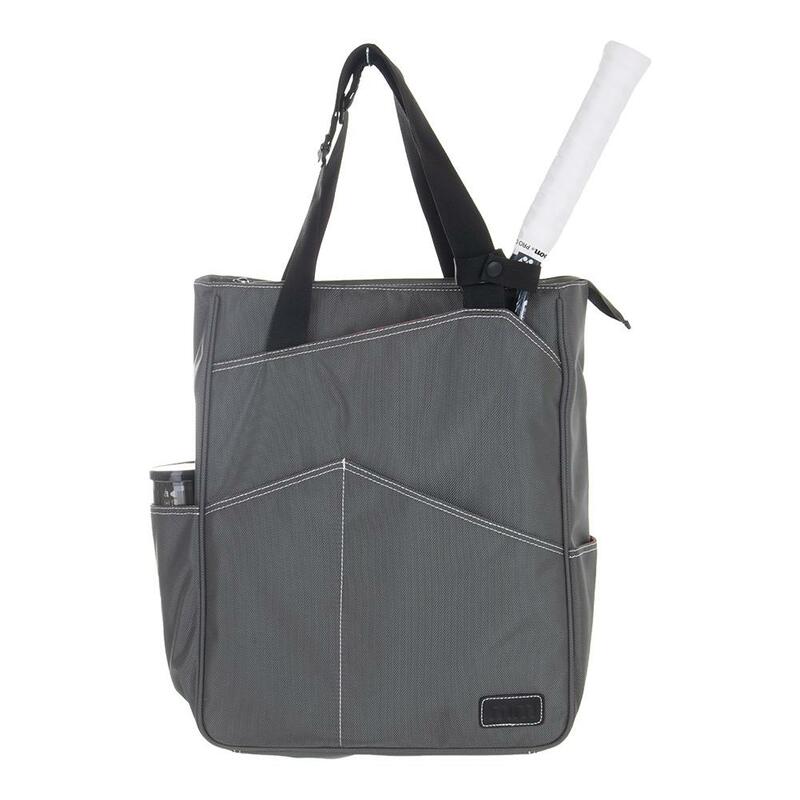 I had been using a tennis back pack for my racquet and essentials and I could never get organized. I ordered the smaller of the Maggie bags. It has enough pockets, I can find anything. It is well made and sturdy. However, I am still not sure about keeping it clean. 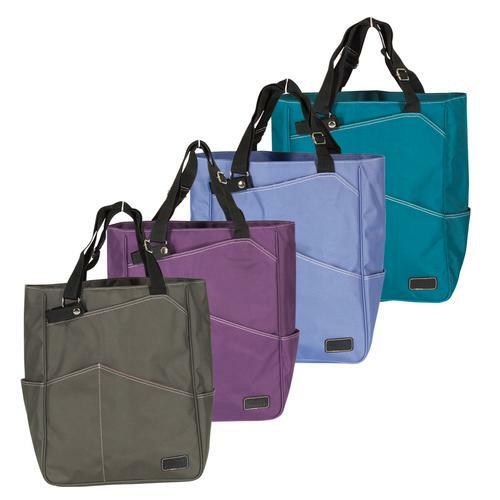 I have a friend with a pink Maggie bag and it seems to get dirty, so I ordered the teal color thinking it might hold up better. On the outside of the bag it looks like the material might be getting scratched, so still watching the wear and tear. 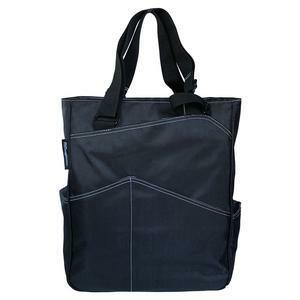 Overall though, I would recommend this bag at this time. 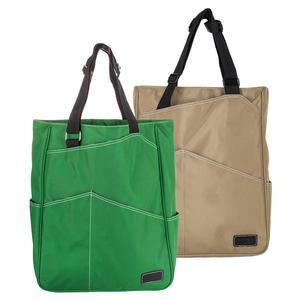 I bought this bag because I needed something big enough to hold excess clothing, during cold weather tennis matches. It meets my needs great. 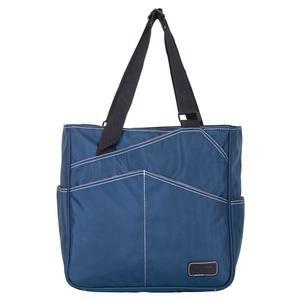 I plan to use this bag for the pool, as a carry on for the airplane, a gym bag, etc. The only improvements would be to add a key clip and smaller pockets for cell phone and a wallet.